The Davinci Organization and its link to the strategic architecture. The organizational architecture is a concept that brings together other as strategic architecture. The strategy, in accordance with Ansoff is, "the dialectic of the company with its environment - 1976". Research by the Harvard Business Review, September, 2004, revealed that within standard working hours per year, on average, senior management spends only 15% of them to develop and approve the strategy. If we talk about family businesses in Argentina, both SMEs as this relationship could be even much lower, and in many cases, virtually nonexistent. It spends less time discussing relevant issues. There is little or no resistance to challenge assumptions and beliefs that determine the strategy and guidelines that begin to become obsolete. They are more strongly rooted paradigms and / or mental models that managers tend to lead the company. The process of corporate myopia generates greater difficulties to find new and effective responses to new challenges. That is why throughout the various chapters, I have put much focus on the design concept. The strategic architecture is the combination of resources, processes, and people skills that allow us to develop the overall strategy and sector that have been defined by the company. This could not be achieved if it is not within the organizational design conceived in regards to time-consuming and staff affected such objectives. To understand why we chose the name "Davinci Project" to title this text, you must know something of the life of Leonardo and his entrepreneurial thirst. No one can doubt at this point that Leonardo was noted for being passionate about knowledge and research. He was an innovator on a wild desire to experience that led him to break the linearity. Maybe it's "Vitruvian Man", the synthesis of his thought and application to organizations. In this work, he created a vision of man as center of the universe to be inscribed in a circle and a square. Some sources explain that the square is the basis of all classical architecture, and use 90 degree angle and symmetry, are grecolatinas database architecture. It is said that within this anatomical study sought the proportionality of the human body, the classic or ideal canon of beauty, following studies of the Roman architect Vitruvius. This work represents the integrative approach of Leonardo and the place of humanity in the "global scheme of things." In its conception, the man was the model of the Universe. A Davinci (OD) then organization rescues the essence of the human being and conceived within a comprehensive plan, whatever the object of exploitation. Intellectual capital is important, as well as the totalizing concept of the word "entrepreneur". This means that everyone is full of concerns, which may be express or his grave if he does not find contexts can act as catalysts and generators. Organizations, where people spend most of their time, are the right choice for this. A company thus is able to make a quantum leap, to learn, to create a university atmosphere, one of the key factors for retaining talent. OD is complex, therefore, it must be built from his plans carefully, keeping in mind that leadership is central role in design thinking. Devise it would be impossible without a systemic approach where (a brick, a table, wall paint, furniture, etc.) all tangible and intangible concept conspire to generate synergy and regenerative value. .... "The parts tends to join his all to flee their imperfection ... .."
Care should be taken communication, message, plurality and access to information, the criterion for measuring performance and qualify and ways to address the problems. The "error" is input for learning and the word "split" it yields to "multiply". The conflict is addressed from the beginning, not from the standpoint of personal convenience. Creativity and innovation are the input to skip the turning point that unites the maturity period of declining business. The results are not products of their search, but the search for the ideal architecture that can foster the kind of process that builds them. As we have seen every organization goes through different stages and is an investment project in itself. Likewise, every person within the organization is a project. At this point we dare say that some companies decides to work in a series of process' conversions that come from the hand of a certain type of restructuring that give them a good level of oxygen for a new period of its life, but here we are not talking about a break point or disruptive modifications. These are some changes in the old paradigms. This, in no way resembles a Davinci project. This type of restructuring are: turnover, downsizing, introduction of new products, injection of capital, changes in the cost structure, etc. Each individual is aware of its potential. He knows that is a cornerstone of a major project. The individual feels pride and admiration for him. It feels totally committed and involved with him. You know that the benefits will be shared and operate as a virtuous circle. An organization is not only the description of a few policies, but rather a compendium of complex, dynamic, and interrelated issues. Biologists say that when a living system has detected a change in its context, this can be perceived as a threat-aggression, or as a stimulus, then the same can choose between two attitudes: conservation in relation to the preservation of their identity, integrity, organization and structures; or change. From this observation plane, we have roughly two major groups, the "adaptive" and "generative". The first antibodies are created to adapt to changes that generate markets and activities. Every living organism must be able to detect early, modifications or attacks of its ecosystem to evolve, and even to anticipate. This is the case of OD or "generative", whose advantage - distinctive skill lies in creating permanently new conditions for the rest suits them. Throughout the chapters that this book, we have seen that consciously or unconsciously, we are capable to generate companies of providing much suffering and anguish, as passion and joy. As we mentioned early, they all work because, as biologists say, develop the skills that allow them to stay afloat. Throughout the chapters that this book, we proved our capacity to generate companies that provide as much suffering and anguish as passion and joy in consciously or unconsciously way. As we mentioned early, all companies can work because, as biologists say, companies develops the skills that allow them to stay afloat. Each entrepreneur is a seed that must be cared for, and each organization is like a tree, together form a forest, generated sap, we provide the vital substance to life. As we have seen, man learned to live and generate ideas and talent within them. Countries like organizations, projects need to go beyond a purely ideological aspect. We all need a project that we fall in love, and that is strong enough to leave differences aside for the common good, we all need a "shared vision". A Davinci organization is a networking team where creativity and innovation is its cultural heritage. In it, people have the ability to evolve. OD is formed from the strategic planes, made by the dreams of its members, which remain "involved" in them. Concepts such as social responsibility and healthy management are integrated through the strategy and put into practice through leadership. Crises are presented as opportunities for reflection and change, which is considered a permanent move evolution. 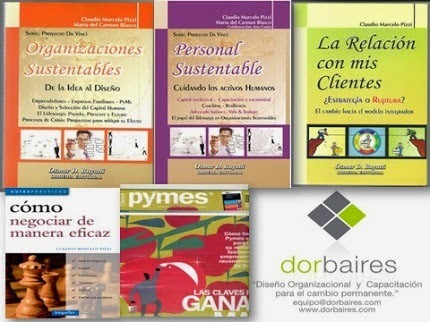 In an OD each component is specially chosen by responsible methods because of the flexible "design" of HR policies as well as other sensitive areas of the company, it is vital to obtain their immortality or sustainability, which depends on their preparation for the quantum leap in decline stage - conversion of the business. In an OD, every resource, human, economic, financial, technological, etc., has a purpose beyond its usual functionality. In an OD, scarcity it is replaced with ingenuity and creative tension. A Davinci organization (OD) is a management realization that anticipates the future and it ends up being defined as a "classic". It is the creation of creation. 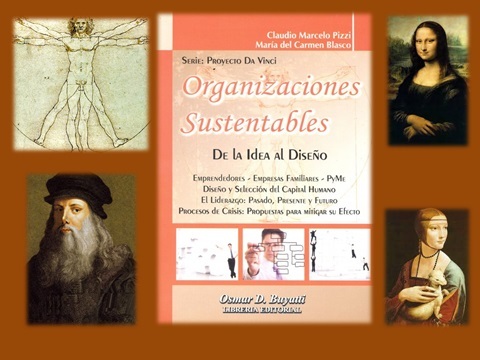 These paragraphs are a fragment of the text, Sustainable Organizations, from idea to design, series Da Vinci project, editorial Buyatti, Argentina. I hope you enjoyed it and will serve as a basis for designing your organization. 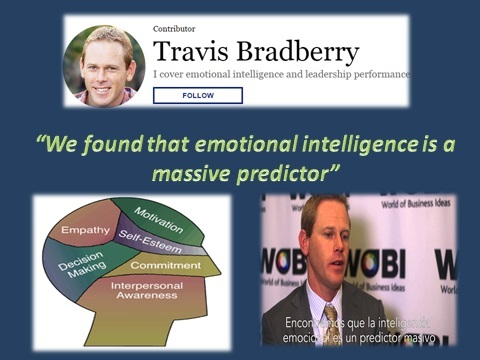 Dr. Travis Bradberry is the award-winning co-author of the bestselling book, Emotional Intelligence 2.0. He wrote the article named. " Six Unusual Habits of Exceptionally Creative People". I think this article could help us to understand one of the characteristics of the "Sustainable Organizations that I mention in my books: Sustainable organizations, from idea to design, and, sustainable personal, caring human assets. How you know, traditional companies despise creativity due to ignorance of its power to generate sustainable benefits and the difficulty of creating enabling environments for development. Dr. Travis described in this article six habits or routines that have used the great name of culture and business. Lo que usted debe conocer sobre los cheques. Si usted tiene un comercio, una empresa, o simplemente una actividad profesional y quiere obtener una chequera para realizar sus pagos, tendrá que entender algo acerca de los cheques. A continuación le brindaremos algunas respuestas sobre consultas que se suelen realizar sobre el particular. 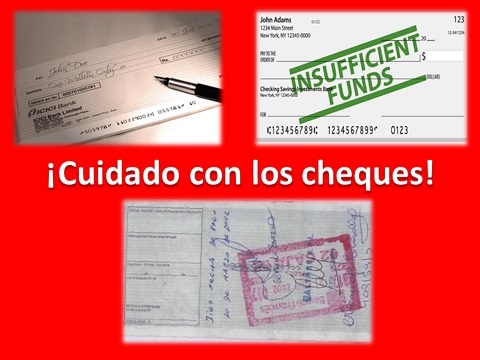 El cheque se encuentra regulado en la Argentina por la ley N° 24.452 - Un cheque es un documento utilizado como medio de pago por el cual una persona (el librador) ordena a una entidad bancaria (el librado) que pague una determinada cantidad de dinero a otra persona o empresa (el beneficiario o tenedor). El librador puede ser también el beneficiario, como ocurre cuando uno utiliza un cheque para sacar dinero de su propia cuenta. ¿Quiénes intervienen en la operación? ¿Cuántos tipos de cheques existen? En primer lugar definamos los dos tipos de cheques frecuentemente más utilizados. Los cheques de pago diferido, que constituyen una orden de pago librada por un plazo de entre 1 y 360 días desde su emisión (en este caso también hay un plazo máximo de 30 días para presentar el cheque desde la fecha de vencimiento fijada por el librador para el pago). ¿Cómo se cobra un cheque? Se puede depositar en una cuenta bancaria, o bien cobrarse por ventanilla mediante la presentación de un documento que identifique al beneficiario. Los cheques con cruzamiento general o especial pueden ser pagados directamente a los clientes (titulares de cuentas corrientes y/o de cajas de ahorros de la entidad). Los cheques librados con la cláusula “para acreditar en cuenta” solo pueden efectivizarse mediante el depósito en una cuenta bancaria. ¿Existe alguna prohibición de cobrar por ventanilla? Si, los cheques por montos mayores a $50.000, salvo que se trate de cheques librados a favor de los titulares de las cuentas sobre las que se giren, o de valores a favor de terceros destinados al pago de sueldos y otras retribuciones de carácter habitual por importes que comprendan la nómina salarial en forma global. Si, el extendido a favor de una persona se puede transmitir por endoso, siempre que no haya sido librado con cláusula "no a la orden". Los cheques comunes pueden tener un solo endoso, y los cheques de pago diferido pueden tener hasta dos endosos. ¿Se puede rechazar un cheque mal confeccionado? Si, cuando la cantidad de endosos exceda la admitida, los cheques presentados al cobro serán rechazados por la causal “Otros motivos”. Falta de crédito en la cuenta corriente: El librador del cheque está obligado a disponer de crédito en la cuenta corriente bancaria. La trasgresión a esta obligación primaria determinará el rechazo del cheque por falta de fondos suficientes. Autenticidad dudosa del título: La presentación de un cheque con raspaduras, interlineadas, borraduras, alteraciones en cualquiera de sus enunciaciones - no corregidas en forma satisfactoria - u otra circunstancia que pusiera en duda su autenticidad, habilita al banco para negar el pago a su portador. La decisión de rechazar el documento modificado depende de cada entidad bancaria y es responsabilidad de ésta también su aceptación. Incapacidad del librador: El portador del cheque extendido por un librador con la declaración de quiebra al momento de la presentación del título, no podrá cobrarlo. ¿Para qué se cruza un cheque y como se hace? El cruzamiento se efectúa por medio de dos barras paralelas colocadas en el anverso del cheque. Puede ser general o especial. El cruzamiento es especial si entre las barras contiene el nombre de una entidad autorizada para prestar el servicio de cheque, de lo contrario es cruzamiento general. El cruzamiento general se puede transformar en cruzamiento especial; pero el cruzamiento especial no se puede transformar en cruzamiento general. La tacha del cruzamiento o de la mención contenida entre las barras se tendrá por no hecha. Un cheque con cruzamiento general sólo puede ser pagado por el girado a uno de sus clientes o a una entidad autorizada para prestar el servicio de cheque. Un cheque con cruzamiento especial sólo puede ser pagado por el girado a quien esté mencionado entre las barras. La entidad designada en el cruzamiento podrá indicar a otra entidad autorizada a prestar el servicio de cheque para que reciba el pago. ¿Qué otros tipos de cheques existen por su modalidad? Cheque imputado – cheque con cláusula no negociable – cheque certificado - para acreditar en cuenta - cheque avalado. IMPUTADO: El librador así como el portador de un cheque pueden enunciar el destino del pago insertando al dorso o en el añadido y bajo su firma, la indicación concreta y precisa de la imputación. La cláusula produce efectos exclusivamente entre quien la inserta y el portador inmediato; pero no origina responsabilidad para el girado por el incumplimiento de la imputación. Sólo el destinatario de la imputación puede endosar el cheque y en este caso el título mantiene su negociabilidad. La tacha de la imputación se tendrá por no hecha. CON CLAUSULA "NO NEGOCIABLE": El librador así como el portador de un cheque, pueden insertar en el anverso la expresión "no negociable". Estas palabras significan que quien recibe el cheque no tiene, ni puede transmitir más derechos sobre el mismo, que los que tenía quien lo entregó. CERTIFICADO: El girado puede certificar un cheque a requerimiento del librador o de cualquier portador, debitando en la cuenta sobre la cual se lo gira la suma necesaria para el pago. El importe así debitado queda reservado para ser entregado a quien corresponda y sustraído a todas las contingencias que provengan de la persona o solvencia del librador, de modo que su muerte, incapacidad, quiebra o embargo judicial posteriores a la certificación no afectan la provisión de fondos certificada, ni el derecho del tenedor del cheque, ni la correlativa obligación del girado de pagarlo cuando le sea presentado. PARA ACREDITAR EN CUENTA: El librador, así como el portador de un cheque, pueden prohibir que se lo pague en dinero, insertando en el anverso la mención para "acreditar en cuenta". En este caso el girado sólo puede liquidar el cheque mediante un asiento de libros. La liquidación así efectuada equivale al pago. 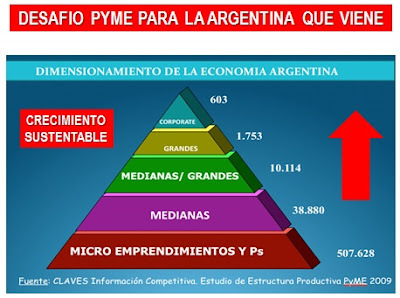 La tacha de la mención se tendrá por no hecha. El girado que no observase las disposiciones precedentes responderá por el perjuicio causado hasta la concurrencia del importe del cheque. AVALADO: El pago de un cheque puede garantizarse total o parcialmente por un aval. Esta garantía puede otorgarla un tercero o cualquier firmante del cheque. El aval puede constar en el mismo cheque o en un añadido o en un documento separado. Puede expresarse por medio de las palabras por aval" o por cualquier otra expresión equivalente, debiendo ser firmado por el avalista. Debe contener nombre, domicilio, identificación tributaria o laboral, de identidad, conforme lo reglamente el Banco Central de la República Argentina. El aval debe indicar por cuál de los obligados se otorga. 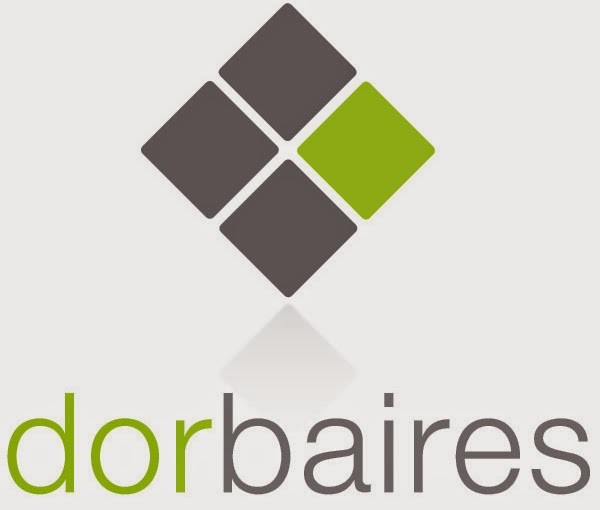 A falta de indicación se considera otorgado por el librador. El avalista queda obligado en los mismos términos que aquel por quien ha otorgado el aval. ¿Si un cheque es rechazado, de cuánto tiempo dispongo para gestionar su cobro? Veamos el artículo 61: Las acciones judiciales del portador contra el librador, endosantes y avalistas se prescriben al año contado desde la expiración del plazo para la presentación. En el caso de cheques de pago diferido, el plazo se contará desde la fecha del rechazo por el girado, sea a la registración o al pago. Se puede iniciar un juicio ejecutivo. Si el cheque es común, el plazo será de 13 meses desde la fecha de libramiento. En cambio si hablamos de un cheque de pago diferido, es un año desde que se rechazó. Desde la fecha del sello que el banco consigna junto con el causal del rechazo. ¿Qué reclamo se realiza y como se notifica al deudor? Si usted es el portador deberá avisar la falta de pago al último endosante o al librador, dependiendo del caso. El reclamo debe hacerse luego de la notificación de rechazo del cheque. El aviso por escrito puede ser de cualquier forma. El demandante retendrá una copia firmada con la certificación del envío, dentro de los plazos legales convenidos. Para realizar una notificación de forma fehaciente, es recomendable realizar la intimación mediante una carta documento. Llegado el caso en que tenga que hacer un juicio por incobrabilidad, contra quien tendría que accionar, que tipo de juicio puedo hacer y que puedo reclamar? Vamos por partes: Si usted es el damnificado, tiene derecho de iniciar juicio contra cualquiera o contra todos los obligados cambiarios, sin limitaciones respecto del orden en que firmaron el título o de la calidad de cada uno de los firmantes. La ley establece la responsabilidad solidaria tanto del librador como de los endosantes, esto significa que cada uno de los demandados debe responder por el total del importe del cheque. Si lo que usted busca es “cobrar el cheque”, debe realizar la acción en el fuero comercial. Otra opción es iniciar un juicio ejecutivo, por ser más directo que el juicio común. El juicio ejecutivo no requiere “causalidad”. Se ejecuta sólo el título sin necesidad de investigar sobre la causa. Hay ciertas jurisdicciones con la Ciudad de Buenos Aires, en donde existe una opción alternativa que es la mediación obligatoria, la cual podría evitar este paso. En cuanto al reclamo, usted puede solicitar que se le pague el importe del cheque con más los intereses al tipo bancario corriente en el lugar del pago, a contar desde el día de su presentación y los gastos ocasionados por los avisos previos o los originados por el cobro del cheque. Usted tendría la acción penal invocando el artículo 302 del código penal si quien libó el cheque a un tercero, tenía conocimiento de que al momento de su presentación no podría cobrarlo, o diera una contra orden para no pagarlo, o quien lo libre sin autorización, caso que podría ocurrir por ejemplo cuando en las empresas, se carece de poder de representación para librar cheques. En resumen, el cheque es un instrumento muy importante y por tal motivo, es imprescindible entender sus usos. Es importante para todos aquellos que se dediquen a realizar actividades comerciales por cuanto existen ciertas restricciones sobre el uso de efectivo. En la actualidad, no se pueden realizar pagos a proveedores superiores a $1.000 en efectivo. El marco legal dice que no surtirán efectos entre partes ni frente a terceros los pagos totales o parciales de sumas de dinero superiores a pesos mil ($ 1.000), o su equivalente en moneda extranjera, que no fueran realizados mediante ddepósitos en cuentas de entidades financieras, giros o transferencias bancarias, cheques o cheques cancelatorios, tarjetas de crédito, etc. ¡Tenga mucho cuidado en estas cuestiones! Si va a depositar un cheque, incluya al reverso (en cualquiera de los lados) la firma, la aclaración, el número de CUIT, CUIL o DNI y el domicilio, al igual que el número de cuenta bancaria. Es aconsejable también consignar el número de la sucursal en la cual se tiene la cuenta. Esto facilita la identificación del documento por parte del banco. Recuerde que el cheque se endosa en el dorso y se puede endosar en cualquiera de las dos puntas, siempre respetando el ordenamiento. Si una persona endosa en una punta y la segunda, en la otra, es causal de rechazo porque no se suceden los endosos. Revise bien que no tenga errores de ortografía, dado que ésta puede ser una causal de rechazo por parte del banco. Si en el cheque que usted libró, el monto escrito en letras es diferente del expresado en números, el banco deberá tomar como válida la cifra expresada en letras. Y por último, para evitar la adulteración de una cifra, le recomendamos completar con una línea horizontal el espacio vacío, una vez que haya llenado en letras el monto del pago. Espero que esta información le sea de utilidad, recuerde que en dorbaires, estamos para asesorarlo y ayudarle a crecer y desarrollarse de manera sustentable en su empresa – emprendimiento. Todo comentario o sugerencia sobre nuevos títulos y temas, serán bienvenidos.